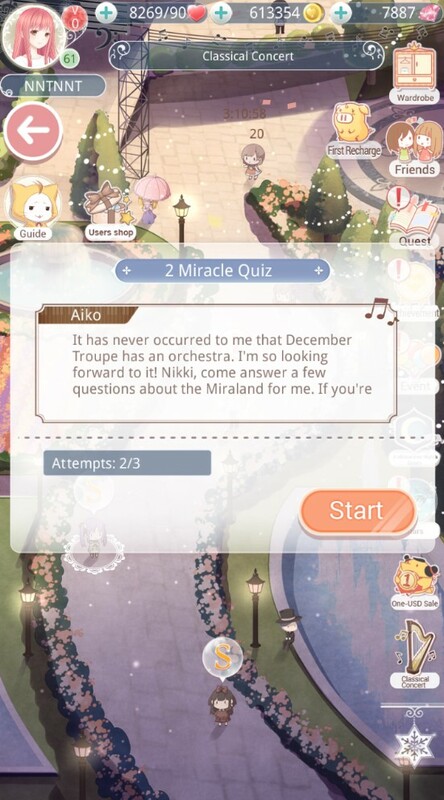 Complete requests to obtain Orchestra Stubs. 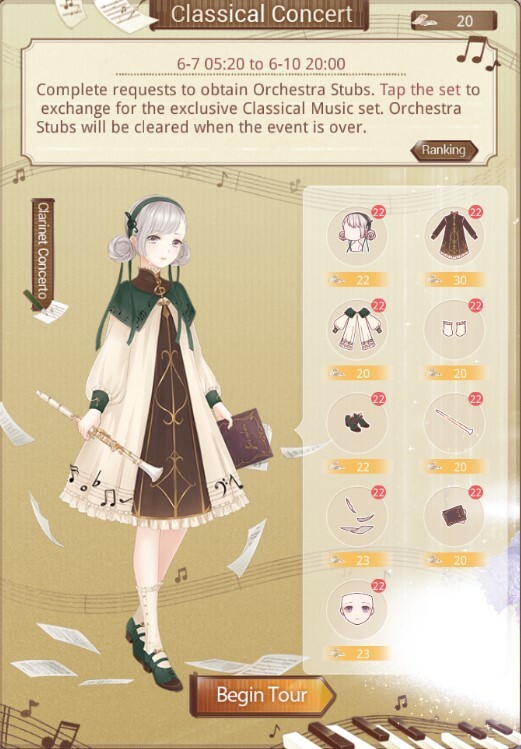 Tap the set to exchange for the exclusive Classical Music set. 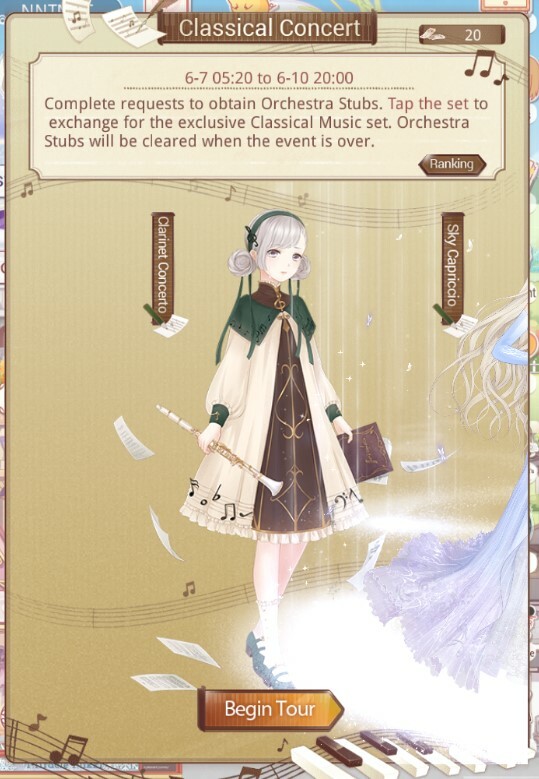 Orchestra Stubs will be cleared when the event is over. Then, tap “Begin Tour” to participation the Event. Step 02: Press “Start” to complete requests to obtain Orchestra Stubs. Step 03:Having enough Orchestra Stubs to exchange for each part of the suit. Each day at 05:00, the challenge attemps will be resfreshed. No loss of attempts if wrong answers given or getting an F at conquering the stage. No loss of staminas when participating in the event.